Sony�s mega-hit Jumanji: Welcome to the Jungle reasserted control over the domestic box office once again, becoming the first December-released film since Titanic in 1998 to top the charts in February. 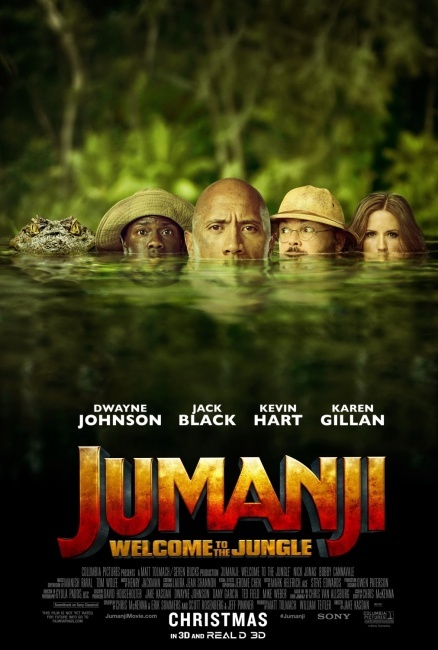 Jumanji�s �legs� are remarkable, but its victory this weekend (the fourth in the seven weekends since it debuted) is due at least as much to the weak competition with the box office total of the top twelve films down 11.6% from the same frame last year when Split reigned for the third time in a row with $14.4 million. So far the 2018 box office has been disappointing in the aggregate, but things will start to heat up next weekend, and then really get going with the earlier-than-ever start of �blockbuster season� with the release of Marvel Studios� Black Panther in two weeks. Jumanji: Welcome to the Jungle is about to become Dwayne �The Rock� Johnson�s biggest hit here in North America as it will pass Fast & Furious 7�s total of $353 million early this week. With a global haul of $855.7 Jumanji is now the highest grossing �video game-related� film in the relatively short history of the genre. PREORDER POP JUMANJI PROF SHELLY OBERON - ALMOST SOLD OUT! !